Mustard never loses sight of the fact that our solutions need to be built around your business. Before recommending a solution, we’ll assess security at every level throughout your organisation, from physical access to business-critical hardware to confidential data being transported on mobile devices. Remote working solutions help your staff stay in touch when they are out of the office. Tablets, smartphones, remote desktop connections and voice over IP telephony can all play their part in ensuring colleagues and contractors enjoy the right level of access to the right information whilst they are on the move. The web may have revolutionised the way we are able to operate, but it has brought with it substantial new threats. These threats just keep on evolving. Viruses are still in circulation, although they sometimes seem a little ‘old hat’ when compared to some of the more aggressive and innovative malware on offer. What’s more, with hacking and other forms of cybercrime on the rise, it has become an even greater challenge to keep the bad guys out of your network, whilst allowing those with a legitimate reason to connect to do so securely. 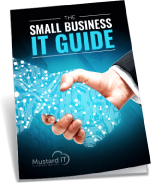 With so many solutions on offer – Citrix, Terminal Services, VPNs and cloud storage – to name but a few, it is not about making your business fit around any one of these technology models. Instead, Mustard prefers to listen to the needs of your business and work from there. Our technology consultants will study your processes, your data, your applications and your users before recommending a solution and a set of policies to fit your working practices and uphold stringent network security. Network security and remote user access continue to be one of the great IT balancing acts of our time. Mustard’s accredited engineers have the skills and experience needed to help organisations of any size walk the right line.